As part of our commitment to constantly improve our services, YMAC has created a new Heritage Survey Request Form for all proponents wishing to undertake heritage surveys in the claim areas we represent. The new Heritage Survey Request Form was created to improve the efficiency of our heritage services. Proponents requesting heritage surveys now have a single form listing all of YMAC’s requirements to begin planning a heritage survey for the earliest possible date. It is designed to assist proponents meet their requirements under their heritage agreements in a way that is clear and straightforward for all parties. To coincide with the new Heritage Survey Request Form YMAC has launched a new email address heritage@ymac.org.au where all heritage survey requests can be lodged. This email address will help prevent any delays in processing heritage survey requests and provide a single place for proponents to send material to ensure it is processed as efficiently as possible. 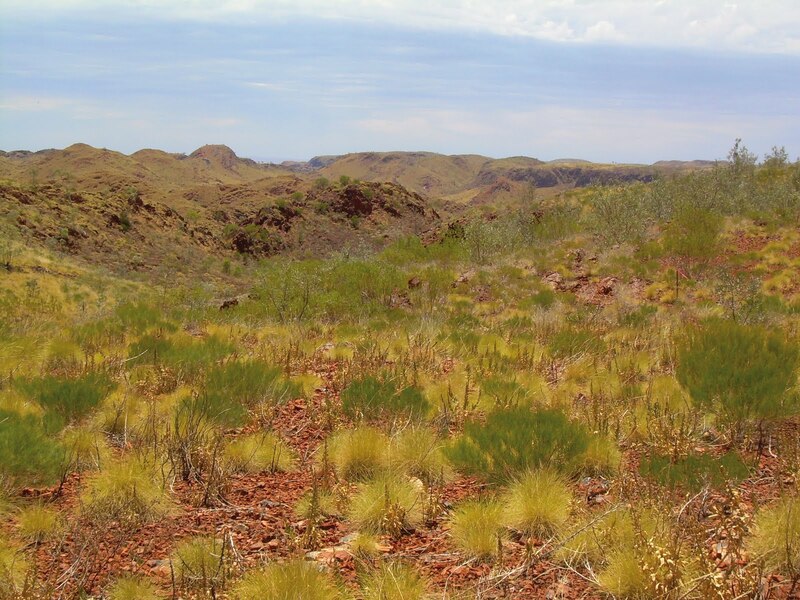 YMAC is committed to providing quality, professional heritage protection services for our clients, the Traditional Owners of the Midwest and Pilbara regions. Please click here to download the Heritage Survey Request Form or visit the Heritage Protection page of our website. This week, YMAC’s Pilbara Chairperson, Mrs Doris Eaton, took part in an on country interview with the international broadcaster, Al Jazeera. The program, 101 East, will feature a documentary on the mining boom and Aboriginal culture in WA, in which YMAC will feature. Click here for the network’s website. YMAC will also be posting the You Tube feed of the 101 East documentary on our website in August. In 1946, Aboriginal pastoral workers embarked on the longest strike in Australian history, which was also the first industrial action by Indigenous Australians. They demanded better pay and working conditions, in a time when many Aboriginal stock workers received no cash wages at all, and were not free to leave their employment when they chose. The strike began on May 1, 1946, at the beginning of shearing season, when the pastoralists were most vulnerable to a loss in Aboriginal labour. It had been planned years earlier by Aboriginal leaders Clancy McKenna, Dooley Bin Bin and Nyaparu Coppin, with white prospector Don McLeod. A group of about 200 elders from 23 different Aboriginal groups met and decided on a strike in 1942, but agreed to wait until the War ended before commencing action. Hundreds of people walked off more than 20 stations, affecting about 10,000 square kilometres of sheep farming country in the Pilbara. Many of them gathered at different strike camps where they hunted, gathered bush tucker, gathered skins and pearl shell and engaged in mining activities to provide food and money for supplies for all those people in the camps. For many of the strikers, this was their first experience of economic independence, and it proved life-changing. Many of them never went back to the stations, and instead pursued these money-making activities until some families saved enough to purchase their own stations in the 1950s. 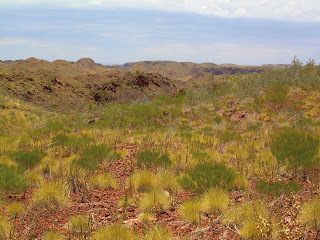 Strelley Station, in Njamal country, was one of those, and is still Aboriginal owned today. The Pilbara strike paved the way for later protests and industrial action such as the 1966 Gurindji strike that led to equal wages for Aboriginal Australians. The courage and determination of the men and women of the Pilbara who stood up for their human rights in 1946-49 is an inspiration today to the many people who continue to pursue justice on their traditional homelands. Across Australia every July, NAIDOC Week celebrates the history, culture and achievements of Aboriginal and Torres Strait Islander peoples. In honour of NAIDOC 2011 YMAC is featuring a series of Aboriginal people, organisations and events that contribute to the vibrant Aboriginal culture of the Midwest and Pilbara. For more information on NAIDOC including its history and events happening near you, visit http://www.naidoc.org.au/. 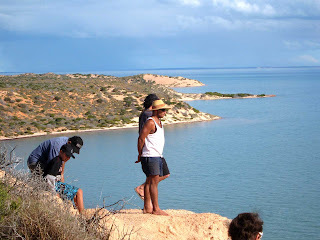 Wula Guda Nyinda Aboriginal Cultural Tours is an Indigenous tourism provider in the world heritage listed Shark Bay area. Owner and operator Darren “Capes” Capewell offers tourists a unique insight into the culture and country of the Indigenous people of Shark Bay. A descendant of the Malgana and Nanda people, Capes is passionate about increasing understanding of and respect for Aboriginal culture. He does this by offering a variety of tours that include bushwalking, kayaking, collecting bush tucker, and telling stories about the country and its first peoples. “I make all my tours interactive, so people participate in the experience,” he said. Wula Guda Nyinda translates to “you come this way,” which refers to sharing stories, both between generations and between cultures. Capes sums up this approach with the philosophy of education, understanding and respect, which he stresses throughout his tours. “I try to challenge negative stereotypes people have of modern Aboriginal people by presenting Aboriginal culture in a positive way. I want people to understand the culture and the country,” Capes said. Capes works to advance the Indigenous tourism industry through his leadership in the Western Australian Indigenous Tourism Operators Committee, the Shark Bay World Heritage Committee and Indigenous Tourism Australia. Across Australia every July, NAIDOC Week celebrates the history, culture and achievements of Aboriginal and Torres Strait Islander peoples. In honour of NAIDOC 2011 YMAC is featuring a series of Aboriginal people and organisations that contribute to the vibrant Aboriginal culture of the Midwest and Pilbara. For more information on NAIDOC including its history and events happening near you, visit http://www.naidoc.org.au/. Since its beginnings in 2006, the Michael Leslie Foundation for the Performing Arts has been empowering children in the Pilbara to reach their potential through the performing arts. The many programs run by the foundation all share a common goal of helping people gain self confidence and overcome self-defeating attitudes. Michael is motivated by past injustices to Indigenous Australians and a desire to help Indigenous kids become leaders. “Kids need to be supported… I can relate to them because I went through all the same things in my childhood that they are going through now. I set up the foundation to give Aboriginal kids the advantage I had,” said Michael. The foundation has many different facets, including after school programs, creative writing and adult literacy, workshops, mentoring, and international leadership programs. Currently Michael visits schools throughout the Pilbara to teach performing arts, bringing with him singers, actors and playwrights as guest teachers. The students then visit other schools to perform. He is working on setting up a regional school choir next term. Through strong corporate partnerships he also supports students to travel internationally to participate in dance and leadership events. Earlier this year he went with three young Pilbara dancers, Treya Long and Kiefer and Eugene Lyndon, to the 23rd Annual International Association of Blacks in Dance conference in Los Angeles, California. The Bartlett Brothers is an Indigenous rock band made up of sing-songwriter multi instrumentalists Phil and Jason Bartlett, their younger brother Azrael on drums and bassist Rob Findlay. They describe their music as “soulful rootsy pop rock sounds with soaring harmonies”, and they draw imagery and inspiration from their country and heritage. The Bartlett Brothers are no strangers to travelling up to the Pilbara. Although their family’s roots are in the Midwest and the Southwest regions of WA, the brothers went to schools in the Pilbara and the Kimberley. They have had plenty of chances to go back and visit, as the hard-working band has been playing gigs and touring for many years. “What I’m most proud of is how hard we’ve worked. We’re now becoming recognised and well known, and it’s all through hard work. We’ve been doing this for fifteen years, it didn’t just happen,” said Phil. The band is gaining plenty of recognition, as their list of awards keeps growing. They have received awards from the Too Solid Awards, WA Music Industry, NAIDOC, and Next Best Thing, and Jason made it to the top 24 of Australian Idol. You can see the Bartlett Brothers at the Perth NAIDOC ball on Friday, 8 July and at the Karratha NAIDOC closing community festival on Sunday, 10 July. 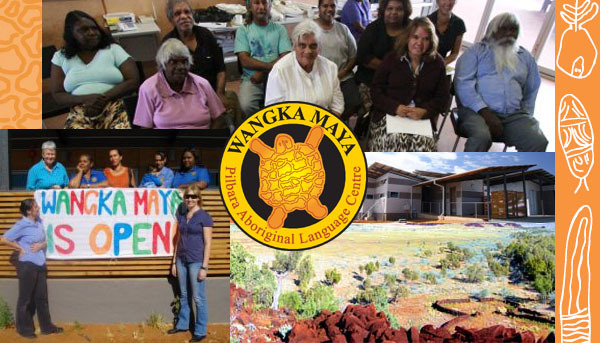 Wangka Maya Pilbara Aboriginal Language Centre is a language centre in South Hedland dedicated to preserving and teaching Indigenous languages of the Pilbara region. It began in 1987 when a group of Aboriginal people started recording languages that they feared were in danger of being forgotten. From its modest beginnings it has grown into a vibrant organisation with a wide range of projects and an impressive workload. Wangka Maya’s work is driven by the urgency to record languages with few speakers before they are lost forever. “Wangka Maya’s work is very important … recording and documenting 31 languages, some with only a handful of speakers left. We have to have it on record, or else the language will be totally lost. If there are no more speakers left, how will the younger generations know how it sounds?” said Harry Taylor, current treasurer of Wangka Maya. This sense of urgency has led Wangka Maya to prioritise languages with the fewest remaining speakers, producing wordlists and dictionaries, followed by sketch grammars which describe the use and structure of the language, and over the years, more books and resources for children. Beyond language, Wangka Maya also records information and produces resources in the areas of history and culture, provides cultural awareness training and participates in a range of community partnerships and initiatives to promote understanding of and interest in Aboriginal language, culture and history. Wangka Maya also reconnects Pilbara and Gascoyne Aboriginal people to their families who have lost contact due to government action or other issues through the Link Up program. Anne Sibosado, long time board member of Wangka Maya, feels a personal connection with the work of the language centre. “Growing up I wasn’t allowed to speak language in school, but it’s important to your identity. Being involved [with Wangka Maya] has helped me get my identity back… I hope the younger people will come to use [Wangka Maya’s resources], because they are our future. We want more young people to come aboard,” said Anne. Harry Taylor believes that, “the wider Australian community is recognising language diversity more and accepting it more,” and Australia is a richer place for that. Wangka Maya is offering a free cultural awareness training course on 7 July for NAIDOC week. For more information please visit www.wangkamaya.org.au or call 9172 2344. Across Australia every July, NAIDOC Week celebrates the history, culture and achievements of Aboriginal and Torres Strait Islander peoples. In honour of NAIDOC 2011 YMAC is featuring a series of Aboriginal people and organisations that contribute to the vibrant Aboriginal culture of the Midwest and Pilbara. 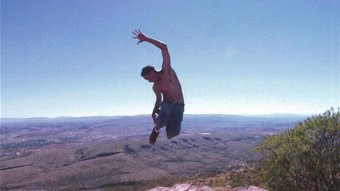 For more information on NAIDOC including its history and events happening near you, visit http://www.naidoc.org.au/ .